Construction of a new £22m Tiger Trailers factory has begun in Winsford, with bosses saying the new site will enable the company to double annual production output to around 3,000 trailers and bodies, plus create a further 120 skilled jobs over the next three years. Joint Managing Directors John and Steven Cartwright say the business is outgrowing its current production facility, and the new site will speed up delivery times and enable it to branch out into new sectors – including the country’s booming home delivery vehicle market, as well as temperature-controlled bodies and trailers. 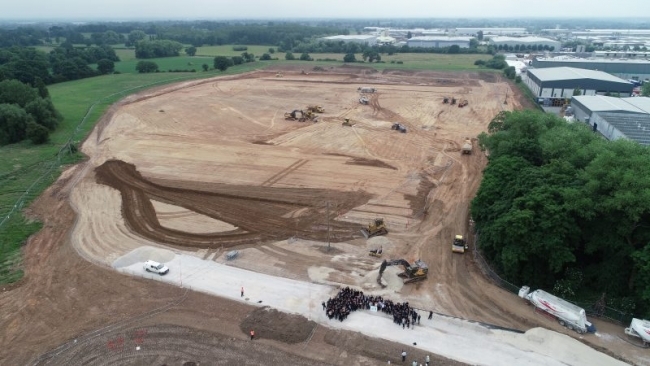 Production was temporarily halted so Tiger’s 180 staff, alongside local Member of Parliament Antoinette Sandbach, could take part in the breaking ground ceremony on the Winsford Industrial Estate, less than a mile from the current plant. Tiger has grown quickly from a turnover of £1.98m in 2014 to £31.51m in 2017, with the new factory providing it with the capability to reach £60m – £70m after three years. “Our pace of growth has been pretty remarkable for a UK-based manufacturer, driven by customer demand both domestically and within Europe. We’re confident about what the future holds, and excited about the wider opportunities the new factory will bring – including options to extend beyond our current dry freight product range,” Cartwright adds. 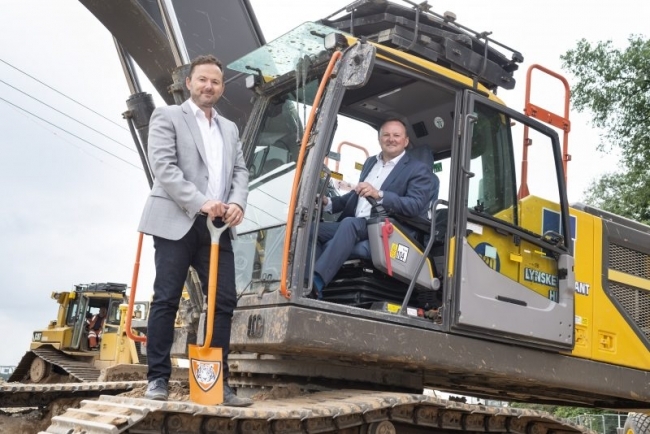 Construction firm Bowmer & Kirkland will now lead an estimated 27-week build and fitting-out phase for the 168,000ft² site, enabling Tiger to turn its attention to growing its workforce in time for the transfer into the new factory. The company has an immediate requirement for 40 new members of staff, including 20 apprentices. Steven Cartwright explains: “We elected to remain in Winsford as we’ve built up a fantastic team who we wanted to retain, plus we are also well positioned for attracting new talent from across Cheshire, Staffordshire, Lancashire, North Wales, Merseyside and Greater Manchester. Tiger plans to commence the transfer of existing equipment into its new home during late-December and early-January, once the new paint booths, shot blasting booth, cranes and materials handling equipment has been installed. The new building will utilise energy efficient heat pump heating and cooling systems, as well as high efficiency LED lighting throughout the offices and production area, each with automated lighting controls. Natural ventilation will be boosted by a super-efficient heat recovery ventilation system which is to be employed within the offices, while gas-fired radiant heating will be used throughout the production area – ensuring the facility gains an overall ‘A’ rating for efficiency. Upon completion of the new site, local wildlife will be encouraged to colonise the greenspace and pond area, plus sensitive lighting principles are being implemented, including the use of hoods on external columns lights to direct the light downwards, minimising disturbance to nearby foraging bats. Bat and bird boxes will also be installed on adjacent trees to provide new roosting and nesting opportunities. The company’s initial £22m investment is privately financed – equally by shareholders and bank support. The site includes provision for a second build phase which could be accommodated in the future, increasing production capacity to approximately 5,000 trailers and bodies per year, without disruption to existing production.